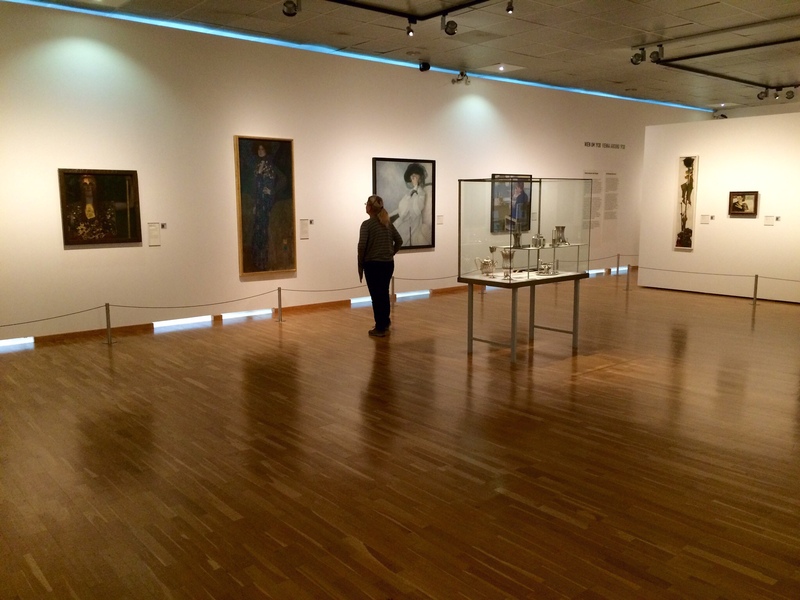 Friday was Art Day for us as we set out to see the exhibits of reknowned Austrian painters Gustav Klimt (1862-1918) and Egon Schiele (1890-1918) who, I subsequently learned, were of the Vienna Secessionist movement which turned its back on the realistic historical style of mainstream Austrian artists and worked in a contemporary, impressionistic mode. 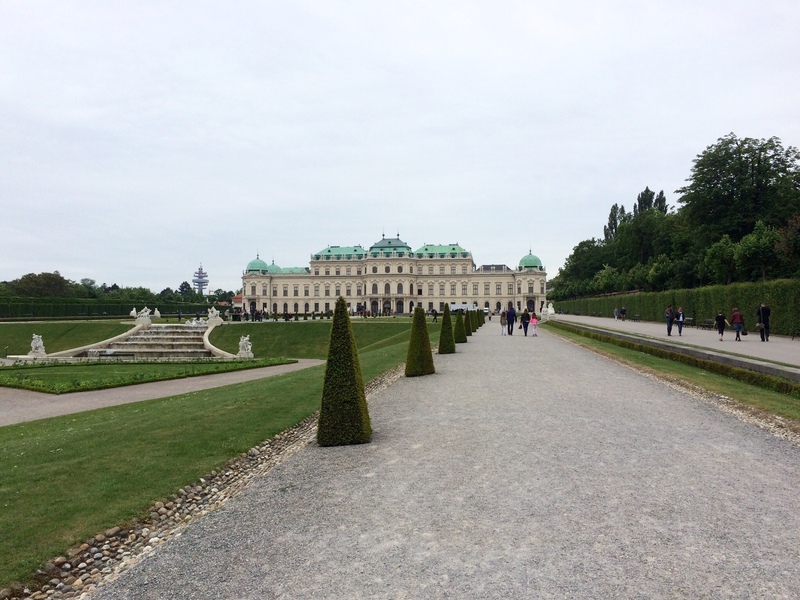 But that doesn't mean we didn't enjoy the grounds of the Belvedere which is actually two palaces on either end of a formal garden. 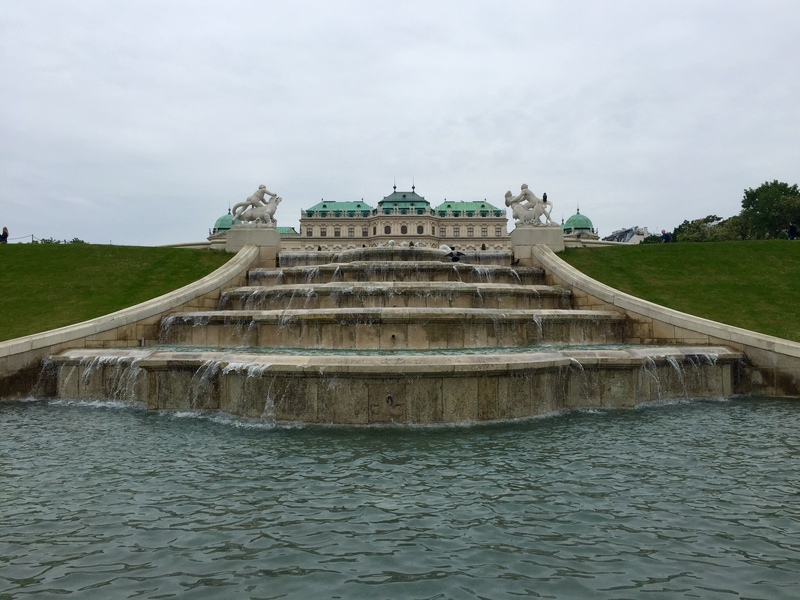 The Belvedere Palaces were built by Prince Eugéne of Savoy (1663-1736), who started out in life as a minor French nobleman and ended up as the greatest general to ever serve Austria, particularly valuable to the Habsburgs in his service fighting the Ottoman Turks. None other than Napoleon considered him to be one of the seven greatest commanders in history. 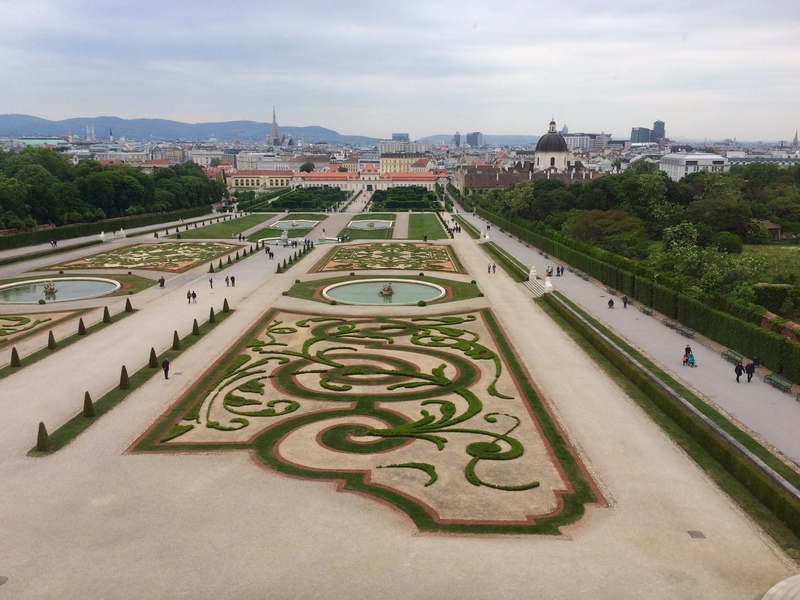 After looking at the paintings, we walked down from the Upper Belvedere, stopping around the midpoint of the garden to look back. I mentioned previously that in 1453 the Ottoman Turks conquered Constantinople, which they renamed Istanbul. 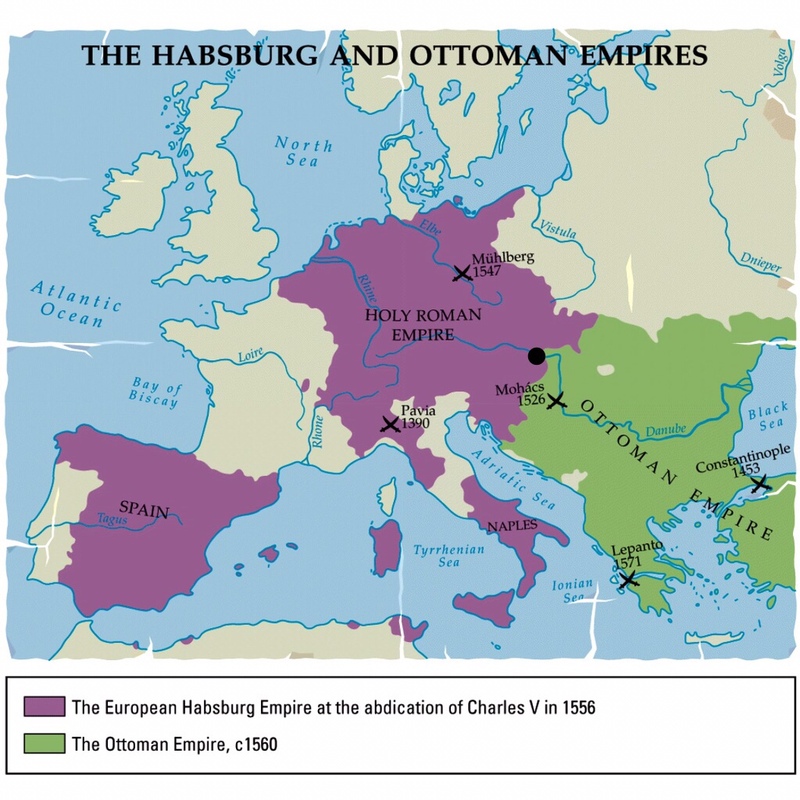 Having already conquered most of the Balkins, they continued up the Danube River Basin all the way to Vienna (the black dot on the map, below) where they confronted the Holy Roman Empire of the Habsburgs. The Ottoman siege of Vienna in 1529 failed, however, and Vienna remained the bulwark against further Ottoman incursions into Europe for the next 200 years, during which time the two empires raided back and forth with much of the fighting taking place on the Hungarian Plain. In 1683, the Ottomans again unsuccessfully laid seige to Vienna. In this battle, Prince Eugéne so distinguished himself that Emperor Leopold I gave him a regiment of dragoons to command and he quickly climbed throught the ranks to become a general at the age of 29. He continued battling the Turks through 1688, then again in 1697, winning the pivotal battle of Zenta, and finally in the Austro-Turk War of 1715 to 1718, defeating them once and for all at the battle for Belgrade. Prince Eugéne served three Habsburg Emperors (Leopold I, Joseph I and Karl VI) as a general in no less than 24 battles and was wounded 13 times. His military success brought him both fame and fortune. Prince Eugéne never married and upon his death in 1736 his entire estate, including the Belvedere Palaces, went to his niece who subsequently sold everything to Empress Maria Theresia in 1752. For a while, both the Upper and the Lower Belvederes sat empty as the Empress focused on her summer palace at Schönbrunn, but in 1776 she decided to use the Upper Belvedere as an art museum; the Lower Belvedere was put to the same use for a different collection in 1811. In 1888, both collections were moved to the new Kunsthistorisches Museum on the Ringstraße. In 1896, Emperor Franz Joseph decided that the Upper Belvedere should serve as the residence of the heir apparent, his nephew, Archduke Franz Ferdinand (1863-1914). Dale was intrigued by the fountain. In 1914, Archduke Franz Ferdinand took a trip from his residence at the Upper Belvedere to Sarajevo where he and his wife, Sophie, were assasinated, triggering a series of events that led to the beginning of WWI a month later. This time, the Ottomans and the Habsburgs cast aside their differences and joined forces. Together with Germany, they fought on the same side. This time, however, neither was victorious. Besides the millions of soldiers and civilians that died in the Great War, there were two other casualties: the Austro-Hungarian Empire and the Ottoman Empire – the former being partitioned into (among other things) Austria, Hungary, Czechoslavokia and Yugoslavia; and the core of the latter becoming the Republic of Turkey, its remaining territories doled out to the victors. 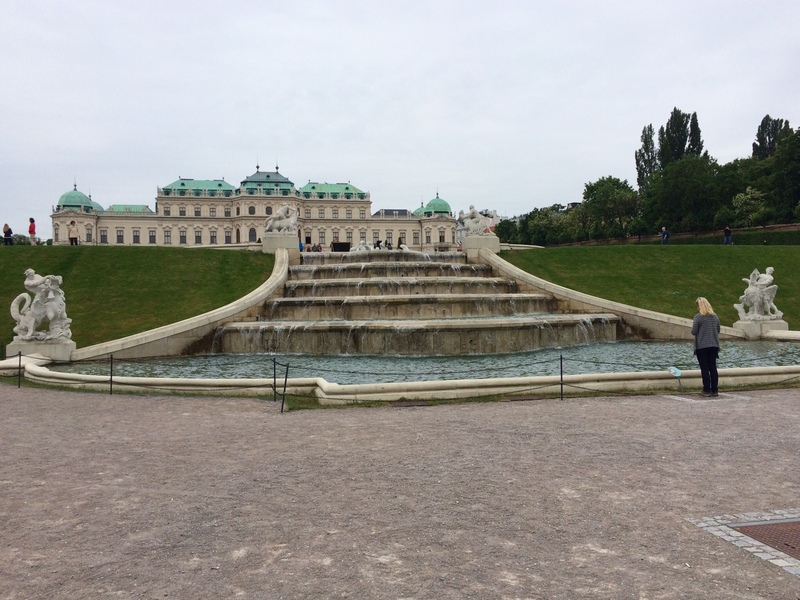 So the Belvedere Palaces stand as a monument to the full cycle of the Habsburg's relationship with the Turks.